Imagine standing in your kitchen and hearing, “You are to write a book. It is called ‘Dream The Answer’. There was no one in the room with me. The year was 2001. This was clearly a clairaudient experience (inner hearing) and my reaction was one of excitement and surprise. My first thought was ‘What a great title!’ It is now 2015 and this book has finally crossed the finish line in the way I want it to be. 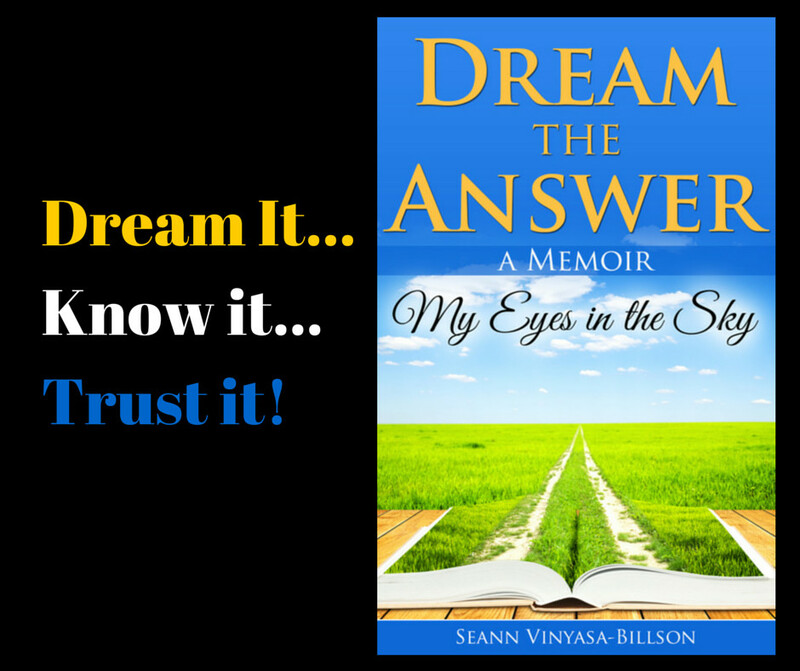 This is a memoir of sorts mixed in with a “How To” for working with your dreams to find answers. I say “memoir of sorts” because this isn’t a regular type of memoir. It actually demonstrates my personality quite well. Here I am and there I am. My parents should have called me “Jump” as this is a favourite past time of mine. I love to jump and have wrecked a couple of rebounders in my time. If I can’t sleep at night I jump up and down to music. My intention with sharing my stories and what I have learned is to pass this on for others to learn from. It is also a diary of sorts for my children to read and understand their mother better. (I hope) I have learned from so many people and my favourite books are memoirs and biographies and autobiographies. I love to learn from other peoples stories so it makes sense to share mine too. Plus as an added bonus, readers can learn to work with their dreams for themselves, just like I did.